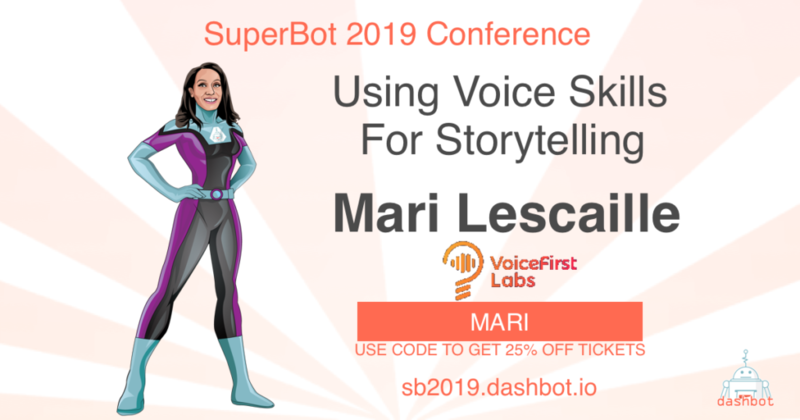 Software engineer and podcast host Mari Lescaille will be joining us at SuperBot 2019 to share the latest trends and innovation in voice tech. Marisniulkis (Mari) Lescaille is a Cuban software developer and entrepreneur. She founded a consultancy business with her best friend, where she did everything from server setups to drafting legal contracts. During that time, she founded Venuslt, a non-profit organization aimed to empower and advance the careers of Cuban women. After that, Mari explored other engineering opportunities in other South American countries and eventually ended up in San Francisco, where she is a Software Development Engineer at Survata. Mari also runs VoiceFirst Labs, a curated guide that tracks all the changes in voice tech so you can be on top of everything related to conversational AI and voice assistants. She studied computer software engineering at the University of Information Sciences, where she graduated with honors. While at college, Mari also was a member of the faculty open source promotion club and mentored students who were having difficulties in English.